Whoo hoo! Game of Thrones Season 5 is back. With Tywin Lannister and Joffrey Baratheon dead, things do not get any better as others scramble to seize whatever power they can get. Power struggle has always been a main theme in GOT and of course, being the nice jerks we are, we decided to let you and your friends implode among yourselves as we restock on Game of Thrones!!! In other news for restocks, Pandemic: State of Emergency has been flying off shelves since its launch, proving to the entire nation that Singaporeans are still bug-fighting lovers who would not turn down a challenge. The ever so kawaii Sushi Go has been recommended as a great party game and a casual one for bringing people new to board gaming together. And of course, the lovely Love Letter in its easy to bring around pouch. 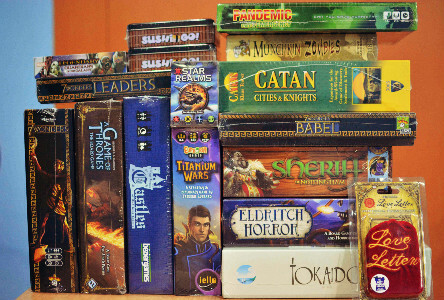 This week notable restocks include Eldritch Horror, Titanium Wars, Pandemic expansions, 7 Wonders expansions, Catan expansions and Star Realms.